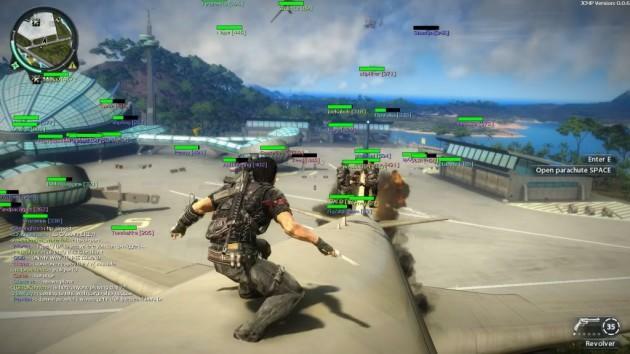 A few years ago, some fans created a multiplayer mod for Square Enix’s hit action game Just Cause 2, and it took the game to the next level. As if there wasn’t already enough to do in the south east Asian country of Panau, now it can be done in competition or cooperation with other guns for hire. The mod has proven to be so popular and successful that Steam has responded and decided to officially support it. Now everyone can join in the fun by just updating the game, no complicated patches or adjustments needed. Developer ‘Philpax’ announced the news on the mods forum. Just Cause 2 is one of those magical games that just works on all fronts. No huge budgets or complicated mechanics. No spectacular set pieces, bloated storytelling, or invisible wires pulling Rico from mission to mission. Just straight up fun gameplay that pulls you back in every once in a while for some good old fashioned chaos. Of all the sandbox games out there, this is the one which most deserves multiplayer, and it’s also the one that doesn’t sport it officially, until now. Full use of friends lists and all other bells and whistles that come along with Steam will be compatible. Keep an eye out for the patch in the coming days.